Brussels sprouts are a staple of the cool months, but bringing out their flavor requires the right preparation. Students in online cooking classes will discover numerous ways to put the unique taste, texture and aroma to work in their dishes. 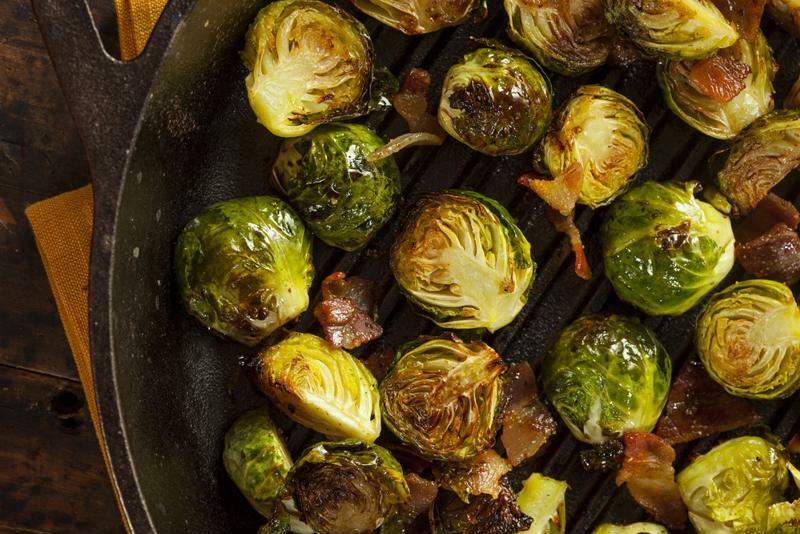 When you serve these items, guests will realize just how great Brussels sprouts can be. Brussels sprouts can make a fantastic complement to a pasta dish, as in a recipe provided by Emeril Lagasse. The directions call for boiling salted water while cooking diced pancetta in a saute pan with olive oil. After about three minutes over a medium heat, add baby Brussels sprouts to brown. Cook for about five minutes before stirring in shallots, chopped garlic and white wine. While waiting for the mixture to reduce, place angel hair pasta in the pot. Once the noodles reach al dente, drain them and dump into the saute pan. Pour some olive oil, salt and pepper over the top and toss the pasta. Finally, sprinkle on Parmigiano-Reggiano to serve. Roasted Brussels sprouts and chorizo make a delicious, smoky combination. Serious Eats recommended first placing dry-cured chorizo on a medium heat with extra-virgin olive oil for about five minutes. Stir in shallots, garlic and then paprika, cooking until browned. Drain the liquid into a bowl. Cut the Brussels sprouts in half and toss in the bowl to coat, adding salt. Set the sprouts on a baking sheet and move to an oven set to 350 degrees Fahrenheit. Roast for about 20 minutes, checking for the sprouts to become tender. Then, set in a bowl with the chorizo and garlic, mixing in honey and sherry vinegar. Brussels sprouts can be delicious when roasted. Brussels sprouts can be a satisfying addition to a salad when prepared many different ways, and Bon Appetit offered a recipe that shows off a few. Start by making a green harissa, pureeing a combination of serrano pepper, olive oil, cilantro, caraway and cumin. Cut Brussels sprouts in half and remove the outer leaves. Slice half of the sprouts thinly and set them in a bowl with the leaves. Cook the rest in olive oil over medium heat for about five minutes. When the sprouts are tender, add them to the bowl. Cut oranges and combine a few tablespoons of the juice with vinegar and poppy seeds. Whisk together the mixture to make a dressing, seasoning with salt. Combine the Brussels sprouts, orange slices and dressing, topping off with the harissa. Once you’ve used Brussels sprouts in a few ways, you’ll find they make an excellent choice for a wide variety of recipes. This vegetable can become a major part of your cold weather repertoire.